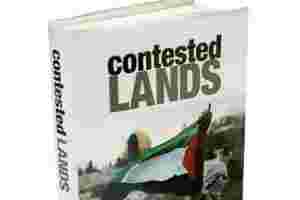 Contested Lands: HarperCollins, 330 pages, Rs395. The great decolonization movements of the 20th century ushered in a common and easily recognizable political unit across the world: the nation state. Man’s traditional attachment to clan or tribe became extended to (in Benedict Anderson’s famous formulation) an “imagined community" of people who shared, or were seen as sharing, a common language, culture and history, and who became fellow citizens of a state that guaranteed their rights. The idea of the nation had a legitimacy that empires never had. “A conflict as complex and incendiary as Kashmir calls for sophisticated tools of surgical precision, not the blunt instrument of a plebiscite decided by a simple majority," he remarks. He proceeds to show how the varying allegiances of people, in Indian Kashmir at least, can be given voice through an unusual multi-tiered structure.